The campaign was a fund-raising idea that Gendered Intelligence are running, to draw attention to gender based violence and bullying. It’s called Stop Our Silence. It’s part of Anti-Bullying week. Which ironically invites us to Make a Noise about Bullying! I’ve learned at quite a deep level how frightening it can be not to be able speak. How frustrating it can be when you’re trying to get through the busy streets of London and everyone seems like an obstacle in your way. How hard it is to assert oneself and complain about things, so that you feel disempowered in your life. How lonely it is to feel that your only safe space is your home and how reliant you are for support from people online. Memories of being bullied at school haven’t left me. I carry them with me. Mostly they motivate me. I was bored, and so incredibly interactive online. 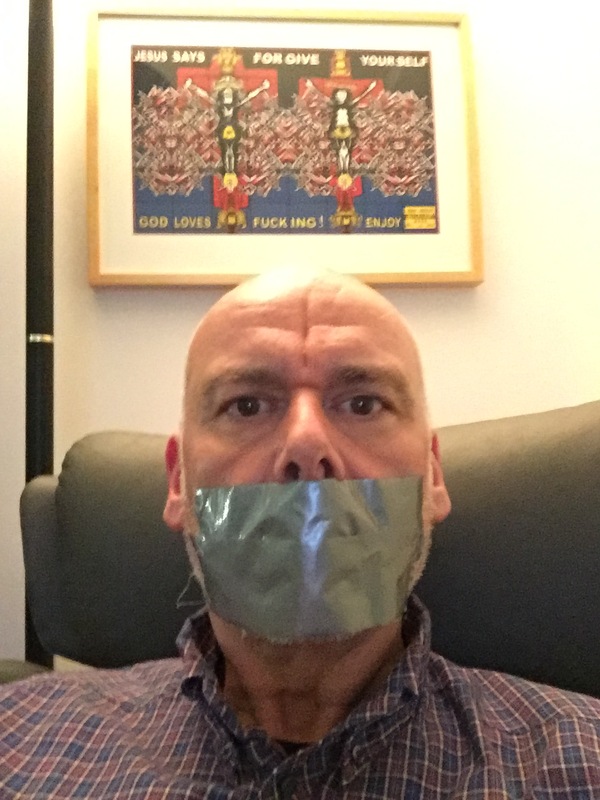 Some people enquired whether I ought to be allowed to speak digitally, and whether I was breaking the rules? I felt that this is about experiencing similar conditions to those faced with bullying because of their gender presentation or gender non-conforming behaviour. So maintaining an online presence and finding support through online networks is a vital life saver for their sanity. Hiding away from the bullies in their room! I’m glad I’ve done it, not least so they have almost £600 but also because it’s been a useful learning experience. If you’re tempted to see how it is, please do! The campaign is running 14-22 November 2015. This entry was posted in Uncategorized and tagged bullying, Gendered Intelligence, homophobia, oppression, Stop Our Silence #StopOurSilence, transphobia, violence. Bookmark the permalink.